Palin’s book tour contines to draw crowds and angry people (Huffington Post). 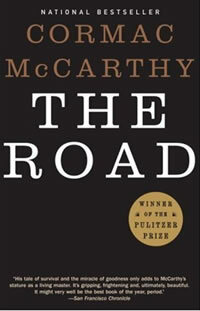 The film adaptation of the Pulitzer prize winning novel, The Road hit theaters this week. Here is a interview with the director (EW) (You can also read the movie review over at Daemon’s Movies). A new book about Michael Jackson will contain some rare sketches, artwork and photos (Google). Looking for a special gift for the book lover in your life? Have a spare 200k? Then you should know that the original “Through the Looking Glass” book that inspired Lewis Carroll is up for auction (Yahoo! ).